Over the years we’ve been trying to work out how to best embed evidence in our mahi in a way that’s accessible, practical and engaging. Much of the best-practice and research of how to improve wellbeing has been done and written up by smart folks from a variety of places. They give us an indication of where to best intervene, what to promote and how to go about it in the first place. In regards to the latter for example, it’s been proven that it’s better to increase protective factors rather than attempting to reduce risk factors. But what is a protective factor? Much has been written about increasing protective factors vs reducing risk factors, and the benefits of the former to support the latter, including this paper by on rage as a risk factor, this one on substance abuse or this one on youth violence. 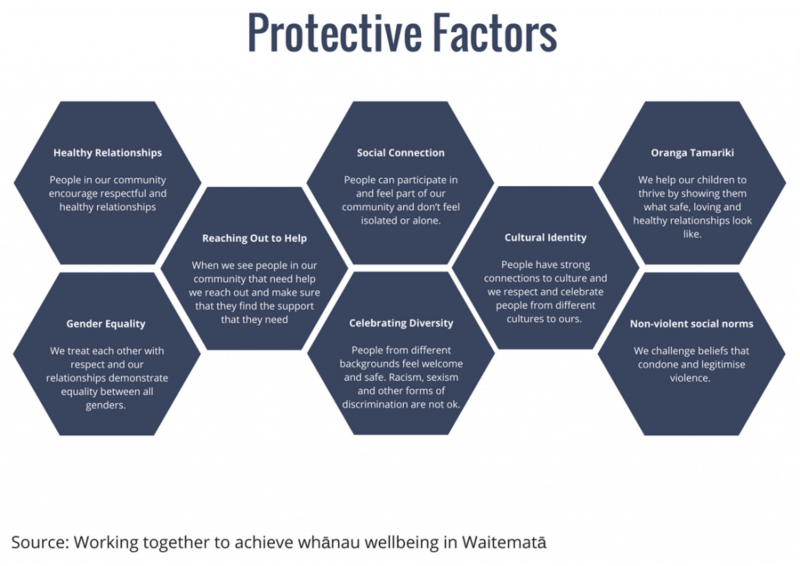 For Lifehack’s mahi, we have been seeking ways to embed the protective factors into our programmes themselves, as well as bringing across the importance to youth wellbeing practitioners to do the same in their respective initiatives and services. We printed out multiple copies and cut them up into their shapes. We then distributed those around the room so that people could pick up one that spoke to them. They then had a few minutes to consider how they might embed the protective factor into their daily life or work. They went on to pair share. This was followed by a kōrero with the whole group of why these are important and finished with a one-sentence statement of what folks might want to give a try in the days following our hui. You can find the A4 poster here.